In light of the increasing terrorist threat from al-Shabab in Kenya, Emma Forrest assesses the dangers for Kenyans as well as British tourists and reflects on her time volunteering in the country. Another year and another terrorism threat has been reported somewhere in the world. This time Kenya is the nation under fire. A country suffering more than its fair share of hard times, this sun-baked but poverty-stricken East African nation is braced for another attack at the hands of al-Qaeda associated al-Shabab, the Somali based Islamic militant group. The cradle of humanity and romantically portrayed in high-gloss format as the wildlife and safari destination of choice, Kenya has so much to offer. Sadly though, daily life is often far removed from such idyllic conceptions. Through the safe distance of our digital television sets it may be hard for us to fully comprehend the adversity faced by the average Kenyan citizen but I was afforded a glimpse in 2011. 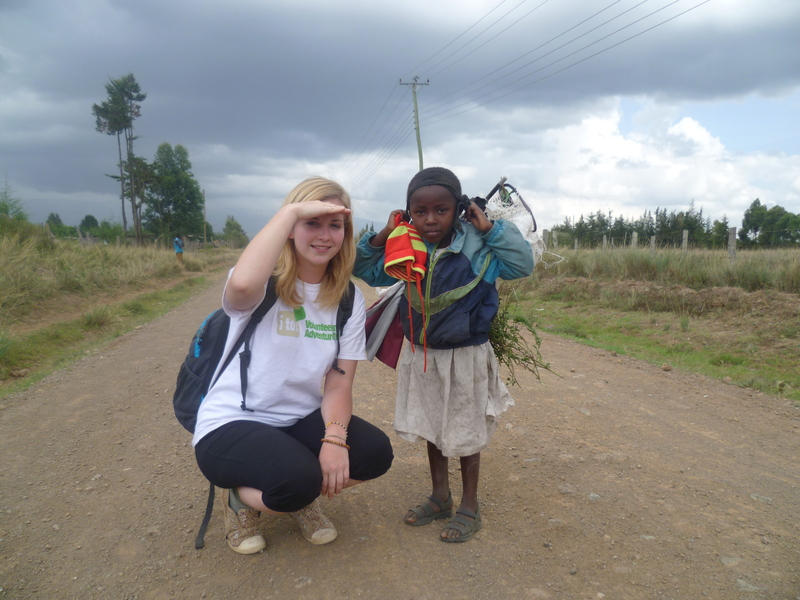 Last March, in partnership with i-to-i, I spent two weeks as an ecological volunteer just North of Nairobi outside a tiny village called Naru Moru and I can say, unreservedly, they were two of the best and memorable weeks of my life. 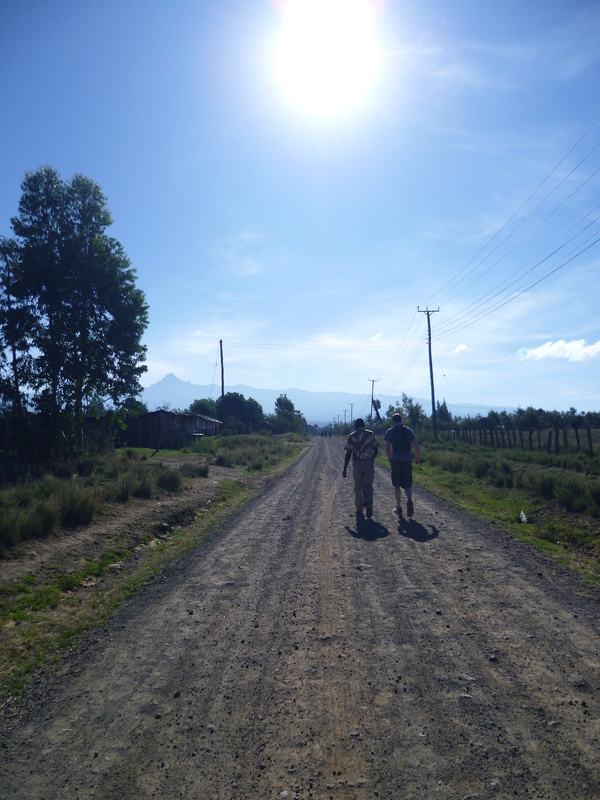 Straight out of an adventurer’s travel brochure, my walk to the Reforestation Project each morning was blessed with stunning views of Mount Kenya’s misty peaks. The mountain is revered by the Kikuyu, Kenya’s largest tribe, and they call it ‘Kirinyaga’, meaning ‘place of light’. Homes were traditionally built to face the 5,199m Batian peak that I saw every day. In my first attempt at being green-fingered I spent my days there wistfully tending to the plant nursery and collecting and re-planting seedlings in the company of local Kenyan volunteers. Ethnic diversity as well as being a huge ‘tourist attraction’ – just think of the red-clad Maasai, an iconic image associated with Kenya – is a well-documented source of conflict and the farming community I worked alongside were clearly proud of their Kikuyu heritage, regularly celebrating their ethnic connections to President Kibaki who was elected in 2002. In the midst of the worst drought to hit the Horn of Africa in the recent years, the terrorism threats have only made things worse. Between August and September of last year, Somali militants raided Kenyan coastal resorts and a refugee camp, purposely targeting foreigners. Barely two months later, Kenyan troops entered Somalia in retaliation against the rebels they accused of being behind the kidnappings. I can recall with clarity my shock at seeing the news bulletin after returning home. To think I was there just months before the British tourists were kidnapped. The Kenyans are fighting the militant group al-Shabab (translates as ‘the youth’ in Arabic). Backed by al-Qaeda there are an estimated 7,000 to 9,000 active fighters and in one form or another, have posed as a vicious force in East Africa for nigh on 15 years. It was in 2006 that al-Shabab, as they operate today, formed as the youth wing of the now non-operational Union of Islamic Courts. Compared to the average Kenyan individual, this group is relatively well-off: they are fully funded and financed, generating millions of dollars of income each year. Naturally, being so well disposed only increases their ability to target innocent people and exercise their reign of terror. Crucially, the tourist industry on which so many Kenyan’s depend for their livelihood, may suffer a blow as a direct result of terrorism; regardless of whether a threat is broadcast, or an actual attack occurs. Fear is often enough to make holidaymakers cancel their much-anticipated safari or beach holiday. It follows therefore, those such as me, involved in volunteer projects and international development aid work may also deter from travelling to the country. Or they simply may not be permitted access. Only yesterday, al-Shabab announced plans to ban international aid organisations from entering the country. More importantly, the lives of Kenyan residents in both urban and rural Kenya are undoubtedly affected. Such unnecessary violence make my blood boil; the individuals and families I met endure things I could barely imagine in the comfort of my own home and yet, touchingly, always had a smile on their faces. It seems that nowhere is completely safe. Following al-Shabab’s vow to carry out suicide bombings in Kenya and had this taken place last January, I admit I would have some misgivings about venturing far into rural Kenya. Ashamedly, there is the possibility of a British link to the trouble in East Africa as one Briton was arrested and later charged in a disruption to the major terrorist plot of last year. However, a ray of hope is shining for Kenyans in the form of the Intergovernmental Authority on Development [IGAD], an 8 country regional development organisation in East Africa. Hopefully, through successful collaborative support, Kenya, Somalia and other countries in East Africa can work together to combat the extremism. On another positive note, the lucrative tourist industry bounced back following a slump in 1998 (post-Nairobi bombings) and in 2006 (post-Mombasa terrorist attacks); after horticulture and tea production, tourism was the highest earner for the country. Whilst the dark cloud of terrorism appears to be sticking around for now, here’s hoping that both Kenyan and foreign nationals can make the most of East Africa’s beautiful landscapes and it’s ever-cheerful people (and plant a tree or two along the way!) as I had the chance to do. In a huge understatement, Kenya does not have the resources to effectively eradicate al-Shabab and does not deserve to sag under the added burden of terrorism, least of all the brilliant people I met through i-to-i. The country is ravaged by drought, poverty and HIV/ AIDS and we need to pave the way for developmental progress and with any luck the safety of resident Kenyans and those visiting the country – tourists and volunteers alike – will be assured alongside this. There is a long way to go and no single factor will be resolved overnight. But I took more than my fair share of hope and inspiration from my brief fortnight in Naru Moru. Amongst all this, there is only one thing I can be certain of: I sure as hell don’t want the life-changing chance I had to be denied for future volunteers. Comprising of Djibouti, Eritrea, Ethiopia, Kenya, Somalia, South Sudan, Sudan and Uganda. Response to drought, famine, ecological degradation and economic trouble in Horn of Africa. 1998 Bombing of American Embassy in Nairobi. 2002 Attack on Israeli owned hotel near Mombasa – killed 10 Kenyans and injured 3 Israelis. Failed simultaneous attack on Israeli airline. 2010 Double bombing in Uganda during the football World Cup – killed 76 people. Interesting. Do you think western literature (tourist, development etc) does generalise many parts of the developing world?